Take a look at our portfolio to check the quality of our work. For more information on our services, please contact 301-799-4480. 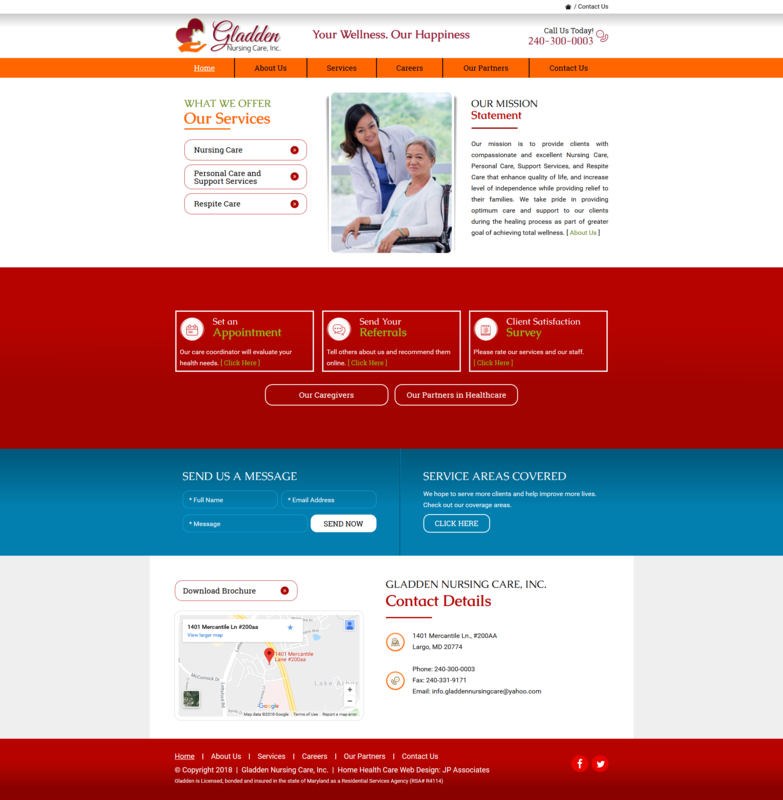 Gladden Nursing Care, Inc. is a Residential Service Agency (RSA) licensed in the State of Maryland by Maryland Department of Health.